Earlier in the year we popped up a birdbox with a camera inside just outside the computing office in the hope of capturing some of our local Marjon residents. A short while ago ‘Marge’ took up residence and over the last day chicks have begun to hatch inside the box. We have captured some footage below of the chicks and Mum & Dad. Inside Marjon Birdbox from University of St Mark & St John on Vimeo. Birds going into the birdbox from University of St Mark & St John on Vimeo. To view the live feed please visit the below link. We will be keeping an eye on them over the next couple of weeks to hopefully see them fledge, and the team are working on some good names for our new additions to the Marjon family. Do feel free to pop down and have a nosey, but please be wary of not disturbing the chicks and parents too much! Wishing you all a Happy New Year from the Marjon eLearning Team. Before we get stuck into what is already looking to be an exciting year of TEL, I wanted to take a quick look back at some of the things the team have worked on in 2017 to enhance the student experience across campus. The biggest launch for our team across campus this year has been the CheckIn attendance system. This was rolled out in September 2017 across campus and we have worked hard between then and now to make the system as reliable as possible and to make the data useful for staff. We have has some really useful feedback about the system and are working on regular updates to add new features. We are encouraging all staff to engage to ensure the data we receive is accurate and that it is useful for staff in monitoring attendance and retention. For more information on the CheckIn system and access for staff to the data dashboard please follow this link. Since the launch of CheckIn in September we have had 46,129 CheckIns across 90% of the students studying on our main campus. This is a great initial uptake of the system. Other Universities who have implemented similar systems have had as little as 10% uptake by students. This does, however, also highlight that there is 10% of students on campus not engaging, and staff should be encouraging students to CheckIn. Recording indicator lights were successfully installed in teaching rooms across campus over the summer. These lights allow staff and students to see when a session is being recorded by our content capture system REPLAY. Staff are then able to pause or stop recordings from the teaching room computers. These lights have received really good feedback from staff and students. We are really happy with the usage of REPLAY this year, and both student and staff engagement. Although we are still not recording all content on campus, which is something we would like to improve on to make our content more widely accessible, we did record and make available 45,000 hours of lecture content across 160 modules last year. In 2017 the Moodle activity logging system in LearningSpace recorded a total of one million two hundred and seventy two thousand one hundred and ten (1,272,110) student activity events. This is a huge number but the system doesn’t keep these logs just in order for us to grab these numbers, their primary purpose is to feed data to the ‘Reports’ section of your course administration block. This means Module Leaders can assess how often and by which students, resources and activities on their module are being accessed. There was also 326,412 recorded events of other activity, such as tutor or administrator activity on course pages. We are always keen to discuss with staff ways they might want to enhance their course pages, any questions or queries do get in touch. There was a large update rolled out to the Panopto system last last year which has given us access to some exciting new features, we will be looking at rolling these out over the next month. Over the last year we have had several staff members taking advantage of Panopto’s Assignment folder feature. This allows students to add their own recordings or videos to a folder specific to the module. Staff can then access these videos securely. This has got round issues previously found with trying to share large videos files from students to staff. 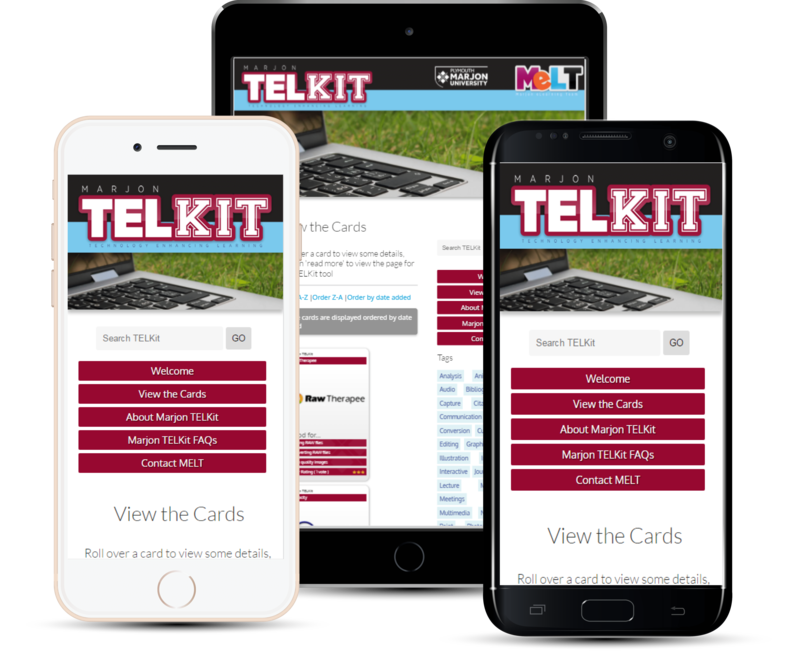 The TelKit was launched in September as a one-stop resource for tools and software which can be used by staff and students to enhance their learning and teaching. This site has been accessed 2000 times since September, which is a great initial number for a new resource. We are continually adding to it so do check back for new tools. The Academic Skills site had a large overall overhaul the summer, with an updated look and feel and new content. This site is a great resource for students on academic skills matters with resources about referencing, academic writing and researching. Since the update the site has received over 12,000 page views. This has shown an increased level of traffic since the update was rolled out which suggests that the students are finding the resource useful. we are always looking to update the content available, if staff have any suggested content please get in touch with the team. We had 25,932 visits to our Edublogs sites in 2017, this highlights the increased use of the network across the University. 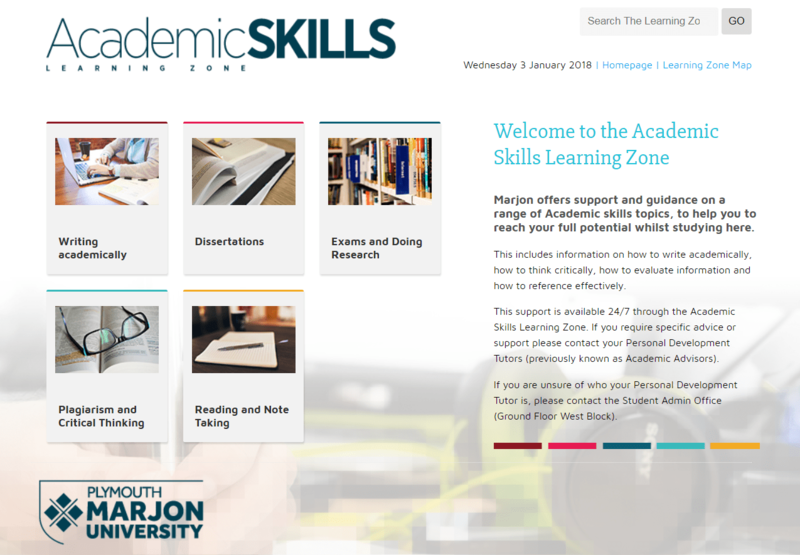 Including use by students as part of their modules and assessments and sites such as our TEL help site and the new Marjon community blog which will be officially launched later in the new year. If you would be interested in finding out more about using Edublogs within your teaching or in other ways at the University please get in touch. 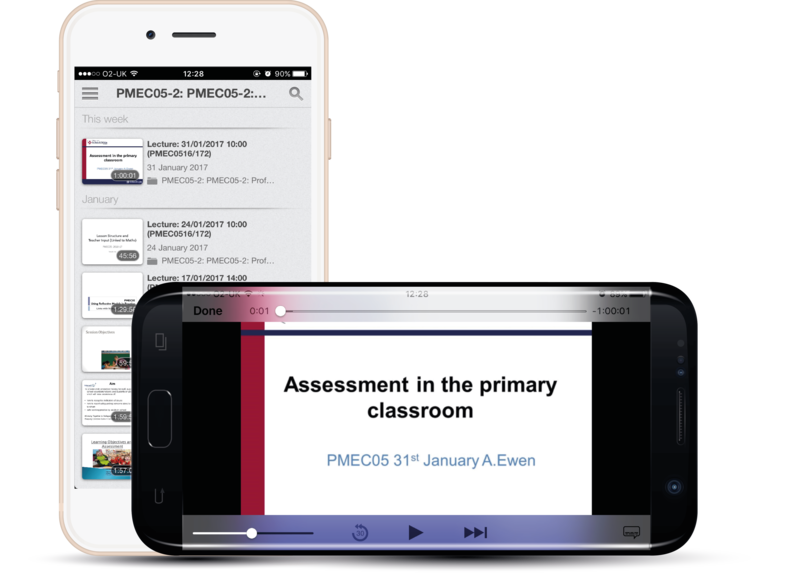 We have recently launched the new ClickView system for staff to use, ClickView is a cloud-based video learning platform created for educators, featuring HE-relevant video content to support lectures and assessments. It is available for all staff at the University to use. 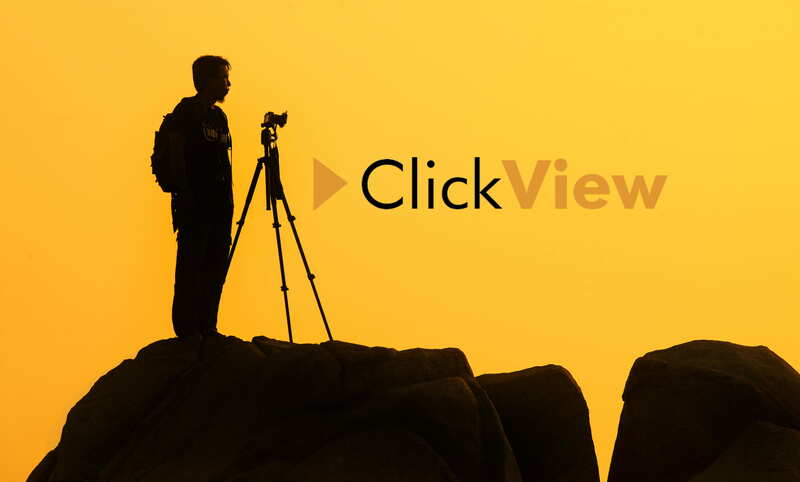 For more information of using ClickView, check out our guides available on the TEL Help site. We have been investigating various ways that we can use 360 video in learning and teaching and are hoping to expand this in the near year. The team have put together a quick video below showing the transformation from the old lecture theatre set-up to the new flexible teaching space. We have also had some changes to the team this year, with Zac moving on, and Matt being brought in as our new eLearning Technologist. Matt brings with him a wealth of knowledge from his time working elsewhere, including working at JISC. 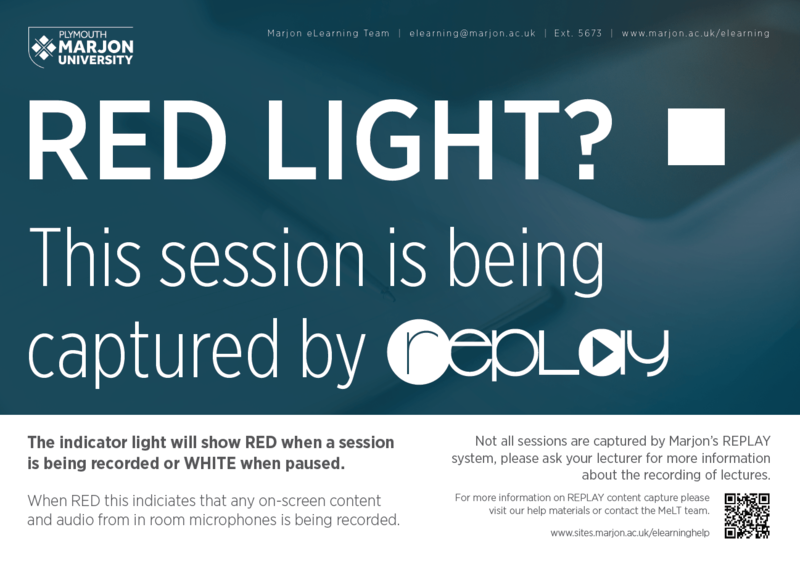 We have received feedback from staff and students that they would like some sessions which aren’t lectures automatically captured by REPLAY. As a result we are in discussions to record content such as seminars and practicals. We are really pleased with the response from students this year showing how much they are engaging with the system. Following the update of Panopto mentioned above we will be launching some of the new features for staff, these include a new and improved editor, ability to download PowerPoint files from recordings and 360 videos. Keep an eye out for more information on this soon. 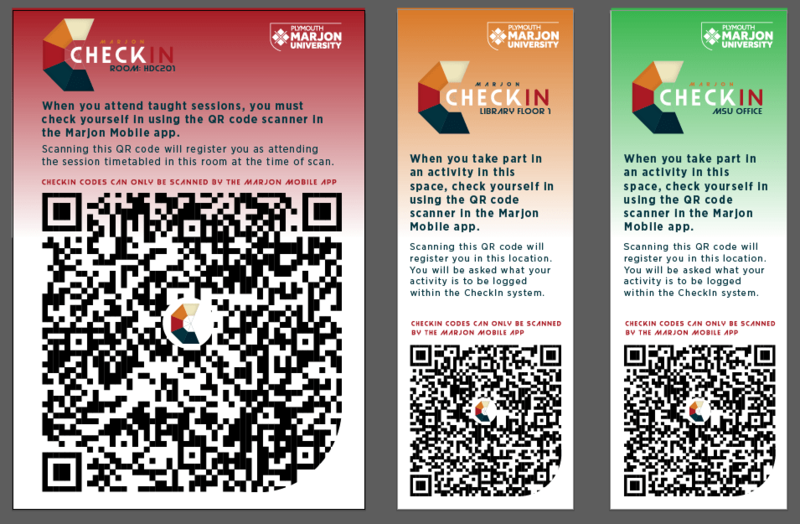 We are working with marketing, student support and the SU to roll out the ability for students to give quick feedback on particular areas of the University through the Marjon Mobile app. This will link into other projects being run across the campus to allow instant feedback in specific locations. Finally we are investigating Google’s newest tool for collaboration. These interactive boards link into the google cloud services to allow for collaboration digitally in and out of the classroom. Have a look at the video below for a taster. As ever, any questions or queries please don’t hesitate to get in touch with the team we are always keen to discuss any ideas staff might have. The more the team uses the REPLAY system the more impressed we become with its features and what opportunity this brings for enhancing the learning of students. Alongside the features we are more familiar with, including automatic and ad hod recordings and the ability editing them afterwards, the team have been investigating some of the REPLAY systems other features. REPLAY has a live stream option that enables both ad hoc and scheduled sessions to be live streamed to students enrolled on the module or specific individuals during the session, which opens up the opportunity for engaging with students outside of the lecture environment. 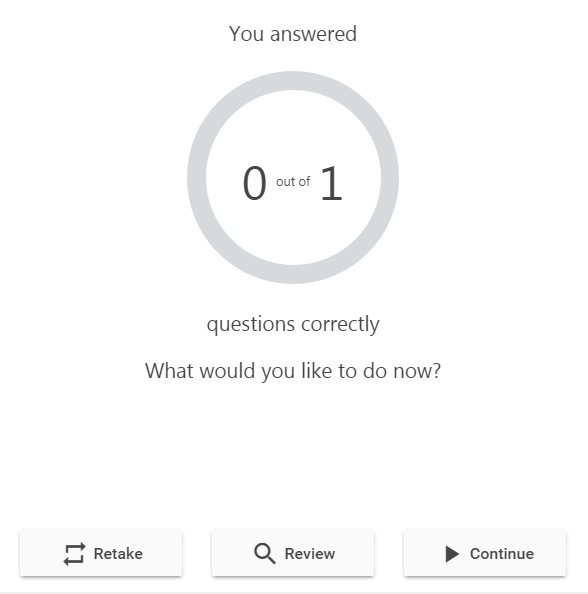 REPLAY also has some very good built in discussions tools, including a live Q and A feature, which can connect students unable to attend the session with the learning experience. At the moment it is possible for staff members to request sessions to be webcast on a module or session basis, however, starting in September it will be possible to request modules to be live cast through timetabling. For more information of Live webcasting view our guide or contact the team. The Panopto app allows students and staff to access REPLAY recordings from their mobile device. It gives easy navigation between modules for students, as well as allowing them to search recordings for specific content. For staff members, the Panopto app opens up the possibility to capture content where ever you are using your mobile device and uploading it directly into a module or your own folder. The app is available for iOS and Android, for information on installing the app visit our guide. The system has a setting that allows students to record content into a specific module assignment folder. This folder is specific to the module and the recordings can, by default, only be viewed by the tutors. Students can therefore record content using the desktop application and upload content directly to REPLAY. This feature could be used by students who film their own presentations and allows them to upload to REPLAY to be marked by tutors. There is also an option to make recordings visible to other students on the module afterwards. If you would interested in using the Student Assignment Folders please contact the team to discuss. The online editing tools with REPLAY allow you to remove and add all kinds of content, including other videos, presentation files or merging of sessions. It is also possible to add built in quizzes to a recording. You can add quizzes to specific points in the recording and they can be particularly useful for testing student knowledge. For information on adding a quiz to your recording visit our guide. A couple of months ago the MeLT team were approached by a member of staff from Speech and Language Therapy to create guidance on the use of PGP encryption for encrypting video files recorded by students within hospitals. These files were of a sensitive nature and needed to be transported from the hospital to Marjon securely using encryption. The team initially looked at PGP encryption, as this was already used at the University. PGP encryption is a very popular form of encryption which uses a public and private key system to ensure that it can only be opened by particular individuals. We began our investigation by using a software called GPG4USB, which is free to use and provides a high level of encryption. We did, however, hit a few barriers while looking at using this software for this specific purpose. Encrypted files would need to be opened on any computer system which posed a problem as the GPG4USB software was for PC only. After further investigation we found a similar software for Mac (PGP Tools) which would encrypt using the PGP system. This software was ideal for encrypting files on a Mac and both encryption programs worked fairly seamlessly allowing files to be encrypted on a Mac and decrypted on a PC and vice versa. The next issue we were presented with related to file size. The files students would be encrypting were likely to be large HD video files, but the PC version of the software would only encrypt files up to around 70mb. We found a solution for this, which would require the students to use a free file conversion software (Handbrake) to compress the original files to a size which would allow the software to process it. The final hurdle we came across was the file format the HD video cameras recorded in. A large number of HD video cameras now record in a format called AVCHD, and although this can be changed it is often a default setting. This file format creates very large files which are stored within a complex file structure, some computers also struggle to read these files. Our concern was that students had already been given their cameras and that some of these would definitely record in this format. This would pose a problem when trying to encrypt these files as they would be very large and would require the entire file structure to be encrypted. Luckily handbrake and Quicktime on a Mac are able to convert these files into MP4 files, however, this could take a longtime for large files and added another step to an increasingly long and complicated process for students. After a lot of testing as to the feasibility of using the PGP encryption software we began to look for other alternatives which would be quicker and easier for students, this included using encrypted USBs. Chris from computer services was able to lend us a SafeXs encrypted USB and also an example of a USB encrypted using freeware software (Veracrypt). Both of these already worked much better than attempting to use PGP encryption for this purpose, as the entire file, and file structure, could be transferred to the USB with no need for compression or conversion. The freeware version, although still pretty good, had issues with compatibility across Mac and PC, with a Mac requiring software installed on the computer to open it. It also required a more complicated start up procedure and also struggled with some large files. The SafeXs USB in comparison to all the other options we had tried for encryption was a breeze to use, the software opened as soon as you plugged it into a Mac or PC and simply required a password to access the USB and use it as you would any normal storage device. We also discovered that the SafeXs encrypted USBs were actually used within the NHS for storing and transferring sensitive files, and as a result it was agreed that this would be the best option to go with for the students and staff. The lovely new USBs have now arrived handsomely decorated with Marjon engraving and we have put together supporting material on how to use them and this has been distributed to the current placement students. With the recent update to Replay (Panopto) the Smart Search feature is now better than ever. Smart Search gives you the ability to instantly find and fast-forward to any word spoken or shown on-screen, in any recording. Simply type in a word of interest in the search for all your recordings or within a recording itself and jump straight to where it was mentioned. When recordings are created Replay (Panopto) automatically indexes ever word displayed on screen or spoken using Automated Speech Recognition and Optical Character Recognition. These systems will pick up any word written in a presentation, spoken or typed during the session, shown on a webpage and even hand written on a screen or whiteboard. This adds incredible search-ability to recordings without the need for manually entering information or tags. The Panopto website has some great FAQs on the Smart Search feature. Have a look at the video below to see this great feature in action. There are various help guides and videos available on the TEL Help Area for using Replay, if you would like additional support please contact MeLT. The MELT team spent sometime yesterday investigating the use of Panopto to live stream sessions, including conferences and special lectures, allowing people to view the presentation, audio and video via a web link. Working with Steve Disney we have scheduled a special lecture to be recorded and livecast simultaneously using the standard Panopto software installed throughout campus. This is a great option if you need to reach an audience beyond Marjon, staff and students, and outside of scheduled lectures. The team have enjoyed testing and exploring the webcast feature of Panopto and discovering how it can be used to engage with wider audiences and further enhance teaching and learning. If you would like to know more about using Panopto for ad hoc sessions or any other TEL tool please contact the team at elearning@marjon.ac.uk | Ext. 5673 | Room 108. The team have taken a bit of time over the last few weeks to create some Meet the team videos for this blog. This is also a great opportunity to introduce myself to anyone who hasn’t met me yet as I joined the e-Learning team in January 2016. As a new member of the team it has been great getting to work with other members of staff and seeing what tools and equipment is available at the University, for staff and students, to create their own engaging content such as videos.